You’ll be the team’s stand-out in the Team 1/4 Zip Mid Layer Training Top. Reflecting Canterbury’s commitment to cutting-edge fabric technologies and ground-breaking technical design, the training top integrates our unique moisture-wicking and sweat-evaporating Vapodri thermoregulation features, allowing you to stay cooler for longer on the field and at the gym. The lightweight French terry means you’ll look great and feel great too, offering superb breathability, durability, and comfort. 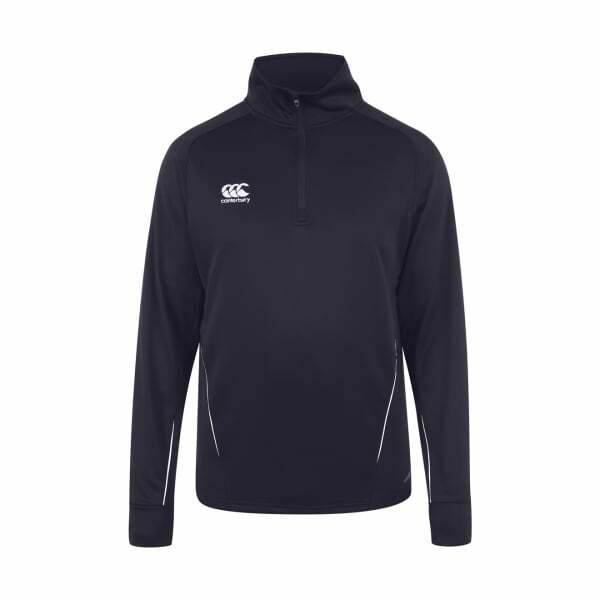 Adding to the stylish, relaxed design is the training top’s 1/4 zip collar and open cuff and hem, which makes it great for exercising on-field, working out in the gym, or for the post-practice cafe meet-up with your training buddies.